Drum Pulper is a regular pulping machine in waste paper pulping system. Pulping section is Drum Pulper’s main working part. Waste paper enters pulping section and is diluted by water & chemicals. When Drum Pulper is installed, it inclines a certain degree to let waste paper move forward. Drum Pulper can take advantage of declining and rolling effects to separate fiber and impurities but not break up the impurities. There are blocking device in the end of pulping section to ensure that pulp can stay for enough time. 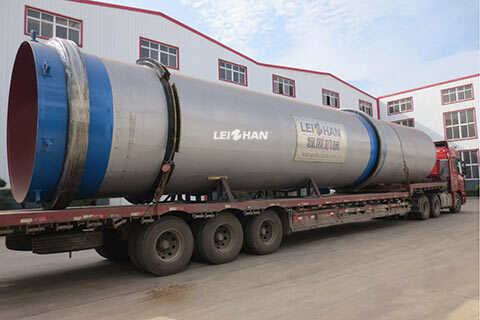 Recently Leizhan provides a Drum Pulper for a packing paper project in Egypt. The finished paper types are corrugated paper, white paper and kraft paper. The capacity is 150 ton per day. The section attached with pulp is made by 304 stainless steel, which has much strong wear & corrosion resistance compared with other texture.